The federal government has an ambitious plan to save swiftly declining populations of monarch butterflies, and it involves planting 1 billion new weeds across a huge swathe of the U.S. The weed in question is milkweed, the only plant that monarch butterflies will lay eggs on and what new caterpillars eat to survive once they come out of their cocoons. It's critical for monarchs' famous 2,000 mile annual commute from the northern U.S. to the forests of central Mexico. And monarchs are important to the nation's agriculture—they and other pollinators are responsible for one out of every three bites of food we eat. Milkweed used to grow in farm fields across the midwest between rows of corn and soybean plants. But it's been decimated over the last 25 years as farmers have taken up genetically modified crops and Monsanto-made pesticides that have killed the weed. Suburban sprawl has also paved over fields that monarchs depend on. Now, the federal government wants to build a monarch superhighway through the middle of the country (roughly from Minnesota to Texas) by bringing milkweed back. It's part of President Obama’s pollinator protection plan, released last month, which attempts to build up populations of honeybees, monarchs, and other pollinators. The plan directs federal agencies to work together to invest in land for monarch habitats and other conservation programs. Federal and state grants will be available for landowners to plant milkweed in their yards, and governmental agencies will plant it along the grassy access roads of highways and utility lines. Karen Oberhauser, a University of Minneapolis professor who is advising federal officials on the plan, told Fusion that the effort could take anywhere from a few years to a couple decades to raise population to the plan's targets. "All we need is for more of those eggs to survive, and the population could expand really quickly,” she said. The pollinator program—which will also aim to increase populations of honeybees—will have federal funding of $82 million this fiscal year across multiple agencies, according to Obama's plan. 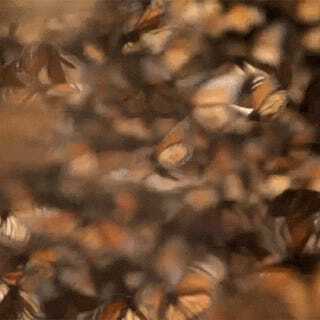 It follows a 2014 agreement between Obama, Mexican President Enrique Peña Nieto, and Canadian Prime Minister Stephen Harper to work toward protecting monarchs. 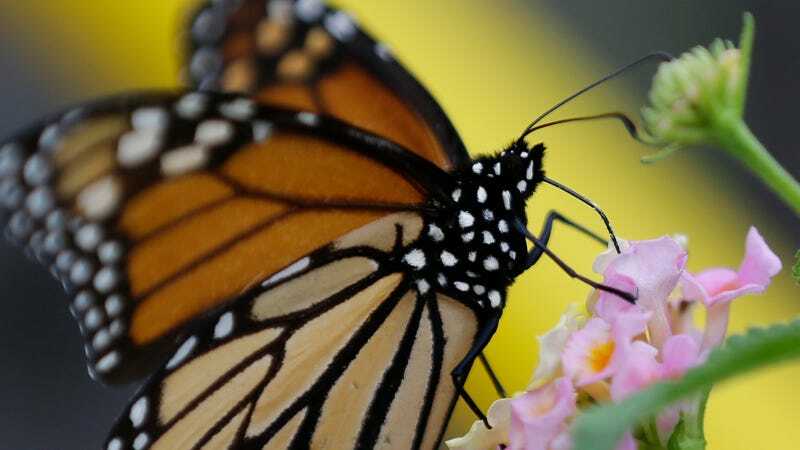 The monarch is "an emblematic species of North America which unites our three countries,” Peña Nieto said last year. But for many, monarchs' beauty and grace add something intangible.